Indonesia is another case example of China's energy relations with ASEAN countries. As the biggest country in Southeast Asia, Indonesia illustrates the diplomatic complexities in its relations with China. Although China has planned to stake a long-term strategic energy investment in the country, the fact that its major trading partner is also seem as a security uncertainty in the region has complicated the resource policies in Indonesia and encouraged domestic resource nationalism. Rising fears that the increasing unbalanced trade relations might affect its national economic security have stirred debates over how Indonesian mineral industries could remain competitive as the country continues its trade ties with Beijing. For the concern of being pulled into China's orbit in a dependent relationship based on supplying raw materials, Jakarta implemented a new law banning the export of unprocessed ore in January 2014. Although the aim is to increase the value added from mineral resources, the new regulations will certainly affect Sino–Indonesian energy cooperation. Indonesia is rich in minerals and is in the top ten countries in the world for proven reserves of coal, copper, nickel, tin, bauxite, and coal. Indonesia produces more than 15 per cent of the global nickel supply and 3 per cent of the global copper supply, and it is the world's largest exporter of thermal coal. The total mineral export value more than tripled from US$3 billion to US$11.2 billion in 2013, driven by historically high commodity prices and increasing production. By value, approximately 40 per cent of total mineral export is currently processed; all tin exports are processed, while most copper, nickel, and bauxite exports are unprocessed. Energy and mineral resources are important sectors in Indonesia's economy. The role of energy and mineral resources to the economy can be observed by three indicators such as its share to the gross domestic product (GDP) and its contribution to economic growth, export, and state revenue. The energy sector has become a buffer of national export and it has made significant contributions to the state revenue, both from tax and non-tax revenue. As seen from Table 5.1, the share of the three main energy sectors in GDP was about 11.5 per cent between 2010 and 2014, and crude oil, gas, and geothermal has the highest share. Southeast Asia lies at the junction of South Asia and East Asia, and is traditionally seen by the United States, China, Japan, India, and other big powers as their respective spheres of influence. China has been a keen player in this region for historical reasons in view of the existence of a large diaspora, energy resource supply, trade and investment linkages and protection of its maritime interests. Energy resource cooperation is an important part of China–ASEAN relations. It has been driven under the background of China's energy diversification strategy, the development of China–ASEAN FTA (Free Trade Agreement) and regional economic integration. As China expanded its foreign direct investment (FDI) to Southeast Asia after the global financial crisis in 2008, cooperation in this field developed to a new level, extending from energy trade to energy resource exploration and related infrastructure-building. China imports much of its oil from the Persian Gulf region through the Strait of Hormuz, where security is dependent on the U.S. Navy. The most prominent issues in the Middle East include the threat posed by Iran's nuclear programme, the emergence of the Islamic State of Iraq and Syria (ISIS) as a destabilizing force in Syria and Iraq, continued instability in North Africa, and the acceleration of Israeli–Palestinian conflicts. These are conflicts involving a great percentage of the world's major energy suppliers. Beijing is concerned about the implications of a potential reduction of U.S. presence in this region. Therefore Chinese leaders are facing questions about what they can and should do to protect the security of energy supply. In a globalized economy, securing the supply of energy resources is a pressing issue for many states. All countries rely on energy to power their electricity and transportation systems, and the emerging economies require mineral resources for their rising industrial sectors. But energy resource production and consumption centres are often located in different national spaces. For emerging economies like China and India that lack local reserves of energy resources, this poses a particular challenge for their energy security. The need to import natural resources exposes these economies to high levels of resource insecurity, and many governments adopt energy resource security strategies to mitigate these risks. China's search for energy resources in Southeast Asia can help deepen China–ASEAN relations in cooperative terms. It can also be a cause for possible conflicts. Rising energy prices, fears of supply scarcity, and rapid increase in oil-import dependence in China and ASEAN countries have helped drive resource nationalism among regional governments and local communities. In the South China Sea, the question of access to maritime energy resources is interlinked with national sovereignty issues, making the South China Sea disputes more complex. This chapter will try to analyse two critical questions: whether the potential energy reserves in the South China Sea has contributed to aggravating these territorial disputes and thus intensified regional suspicions of China's hegemonic ambition; or whether these potential energy reserve can instead provide a means for the parties to seek cooperative and collaborative solutions, and thus improve China– ASEAN relations. In the South China Sea, maritime energy nationalism is often tied to disputes over territorial claims and fishing rights. Maritime energy resource nationalism is exacerbated by some speculative estimates that the ocean floor is rich of energy resources. Politics, both domestic and diplomatic, supports a predilection for optimistic assessments from the claimant states. Although geographic evidence suggests that the actual prospective areas are quite small, as most of the seabed lacks the characteristics to be seriously prospective, some countries’ estimates on South China Sea resource reserves are at a high level. Some international sources have suggested that the South China Sea could be “Asia's Mediterranean”, a “new Persian Gulf ”, and leading Chinese sources give estimates of the potential oil resources that are far higher than other estimates. In November 2012, the China National Offshore Oil Corporation (CNOOC) estimated that the South China Sea held 125 billion barrels of oil (bbo) and 500 trillion cubic feet (tcf) of gas beneath the South China Sea. In January 2013, the U.S. Geographical Survey published a much lower estimate of 11 bbo in proved and probable reserves, and 190 tcf of gas in undiscovered resources. Although Myanmar is a natural resource-rich country, from a global perspective, it does not have particularly notable hydrocarbon reserves. For China, however, from a regional perspective, Myanmar's gas reserves and strategic position are significant in terms of energy security and regional cooperation. However, although China has planned to stake a longterm strategic energy investment in Myanmar and its capital has largely poured into resources and energy-related infrastructural sectors, some factors are pushing the two countries’ energy ties toward competition and conflicts. Chinese foreign direct investment (FDI) in Myanmar no doubt ties the two countries closer together, but also reminds politicians of “new colonialism”, creating concerns and resource nationalism in the local society. Moreover, as Myanmar opens up, the entry or resurgence of more global players like Japan and India provides Myanmar with more options, facilitating its attempts at loosing itself from the Chinese grip. Hence, the questions that require examination are as follows: What direction is the China–Myanmar energy tie going in, cooperation or conflict? How will China adjust its approaches and better embrace the new environment and dynamic changes in the country? Over the past two decades, there has been a growing recognition that natural resources play an important and complex role in international and regional peace and security. Natural resources can be a source of cooperation and stability, it can as well be a source of hostility or grievances, which may be related to the loss of sovereignty, the inequitable distribution of benefits from natural resources, the lack of opportunities for local people, or environmental and social harm caused by unsustainable extraction of resources. While such hostility or grievances may not be the sole causes of conflicts, they may lead to the rise of resource nationalism which has real potential to spark armed conflicts especially in disputed areas. The term “resource nationalism” is often defined as a national government's assertion of ownership rights over oil and natural resource reserves within their territorial boundaries, usually in ways that contradict liberal paradigms for encouraging foreign investment, and work against the international energy companies. This book has been motivated largely by the rapid rise of China and its consequent influence in the world, particularly in Southeast Asia. As an emerging power in East Asia, China is the main driver behind the geopolitical and economic reconfiguration that is taking place in Asia. 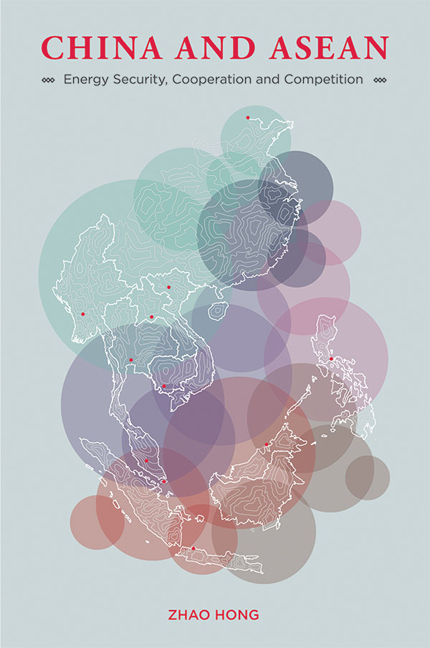 Southeast Asia is one of the areas that is affected most directly by the rise of China. On the other hand, interactions between China and ASEAN (Association of Southeast Asian Nations) will, to a great extent, affect the future and prospect of the entire Asia, leading East Asia to become the world's new economic centre of gravity, and affect the world economic and energy map. In East Asia, few relations have evolved as much as that between China and ASEAN. The threat of China looms large in the history of the relations between China and Southeast Asian countries. In particular, Chinese support for local communist groups during the 1960s and its views of ASEAN as an anti-Chinese, anti-communist alliance created distrust and frictions in China–ASEAN relations. China's siding with ASEAN during Vietnam's occupation of Cambodia contributed to re-establishing relations with Thailand, Malaysia, and the Philippines, but those between China and Brunei, Indonesia, and Singapore were not restored until 1990–91. Mutual suspicion lingered through much of the 1990s, due to memories of its support for communist insurgencies and the Chinese tendency to dismiss these smaller countries as puppets of U.S. imperialism. The end of the Cold War was a pivotal turning point in China–ASEAN relations. ASEAN and China began to perceive complementary advantages in closer cooperation. Southeast Asia had energy resources which China did not have; China was modernizing rapidly and could contribute to modernization in Southeast Asia. China embarked on a new policy that was more geared toward the East, with Southeast Asia as a major focus. China's “good neighbour policy” was aimed at strengthening regional relations so as to surround itself with benevolent states, which would allow China to focus on its economic development. China and most ASEAN countries are characterized by high economic growth and rapid increase in energy resource consumption. Although these countries are trying hard to find appropriate energy alternatives, increase energy efficiency, and diversify energy resources, they are becoming increasingly dependent on imported oil and gas, and the unstable Middle East and Africa are set to remain their predominant sources of oil and gas. Thus high dependence on fossil fuels poses several security concerns and challenges, including a widening gap between supply and demand, transportation of oil and gas resources on vulnerable sea routes, and energy-related CO2 emissions. This chapter mainly analyses these three dimensions in the context of regional and global perspectives. The demand for energy resources in Asia is predominately driven by two factors. The first is “industrial-led” demand related to economic growth, a structural shift from non-mechanized forms of manufacturing and production to more energy-intensive ones, especially for commodities such as iron and steel, cement and glass, paper and pulp, basic chemicals, and non-ferrous metals. The second is “consumption-led” demand as population grows and living standard rises (urbanization), bringing more energy-intensive lifestyles that revolve around automobiles, air conditioning, and disposable goods. Over the past decades, China and ASEAN have undergone a profound economic and social transformation. This has largely been attributed to their openness to international trade and foreign investment. Although this region has been affected by the recent global financial crisis, it is assumed that if energy supplies are abundant enough, this region, especially some of its emerging economies, will continue to enjoy economic growth and progress over the long term. China and Vietnam are expected to continue to grow faster than other economies in the region, followed by Indonesia, the Philippines, and Malaysia. China now, as the world's second largest economy, will gradually shift from an investment/exportoriented economy to an import/consumption-oriented economy over the medium to long term and see a gradual productive population fall amid the ageing of its population. This book examines the energy resource relations between China and ASEAN countries. It addresses the following issues: as the world energy demand shifts East because of the rise of China, ASEAN community and other emerging Asian economies, and as the Greater Indian Ocean and the South China Sea become the world's energy interstates, will geopolitical tensions over energy resources spark conflicts in the region, especially in the South China Sea? Against the background of China's rise and its growing influence in Southeast Asia, will China's quest for energy resource cooperation be viewed as a threat or opportunity by its neighbouring countries? Since the United States, Japan and India are important players in Southeast Asia, does the shifting geopolitics of energy give these big powers a new strategic tool in an intensifying rivalry with China? Or does the changing geopolitics of energy resources create more areas of shared interests and opportunities for cooperation between these big powers to balance, rather than increase, tensions in Southeast Asia? This book will be of interest to anyone who is keen to learn how the world, especially the United States, can accommodate and adapt to the new global energy dynamics and how China and ASEAN operate as new players in global and regional energy markets. The twenty-first century is known to be the Asia century. The coming decades will see global economic growth increasingly being generated by Asian emerging economies. ASEAN is seeking to build political security and sociocultural communities as well as the economic community. With the rising population and economic growth resulting in an increasing share of global gross domestic product (GDP), Southeast Asia is seeing rapid growth in its energy demand and is consequently shifting the centre of gravity of world energy demand to Asia, along with its neighbours of China and India. These countries will account for an increasing share of international trade, investment flows, and energy resource demand. Such dramatic and rapid changes and shifts have created challenges in providing for energy resource supply, energy security, and environmental managements, as well as challenges to the international relations in the region. The previous chapters have analysed that, from an economic point of view, Asia is increasingly regarded as the most important region in the world. Indeed, it is widely thought to be the next most important focal point of the world economy that may soon replace the United States as the engine of global economic growth. The rise of China, the ASEAN Community, and other Asian countries like India economically has prompted East Asia to become the world's new economic centre of gravity and created a great impact on the world energy resource market, and will hence accelerate the changes in the world energy system, accelerating the energy shift from west to east. In the background of rapid economic growth and increasing energy resource shortage, China's broader energy security strategy has been to pursue supply diversity, to find more and develop more offshore oil and gas resources in Southeast Asia. China has the intention to invest more on natural gas sectors in some ASEAN countries, such as Indonesia, Myanmar, and Malaysia. China expanded its foreign direct investment (FDI) to Southeast Asia after the global financial crisis in 2008, and China–ASEAN energy cooperation has developed to a new level, extending from energy trade to energy resource exploration and related infrastructure-building. The somewhat inelegantly termed “trilemma” — the trade-offs among the trio of policy objectives of energy security, environmental sustainability, and economic competitiveness — has given rise to much study and even more contention. The many examples of policy initiatives in various countries discussed in this book give evidence to the costly failures that can result from poorly thought out or populist solutions to energy sector issues, with unintended consequences for social welfare. In many cases, the scale of perverse effects has been such that the very purpose of energy policy is subverted. It is the contention of this book that policy objectives need clear delineation and focus, so that appropriate actions can be formulated and implemented when necessary in a manner which minimizes unintended consequences. The concluding remarks below summarize the arguments offered in earlier chapters on the “three E's” confluence of energy security, environmental sustainability, and economic competitiveness. These remarks end with an impressionistic scorecard for Singapore's performance in achieving its energy policy objectives. “Energy security” is a term that has long bedevilled energy policy debates among politicians, businessmen, and academics. Indeed, the term is evoked by players across the policy spectrum, from the more extreme “green” non-governmental organizations (NGOs) whose constant refrain is of the risks of cataclysmic climate change, to the many business groups and public or private resource owners and users with vested interests across the energy value chain. Being so contested by different political and economic constituencies, the term carries its multi-hued meanings to the point of contradiction. Hence, the call for enhanced energy security is often invoked to support conflicting policy positions. In the United States, proponents of subsidies for alternative energy and electric vehicles invoke the mantra of energy security as forcefully as the politicians who support their local coal-fuelled power stations. While both positions claim to reduce America's dependence on energy imports, their approach to climate change issues could not be more opposed. It is commonly observed that the growing complexity and strategic importance of energy policy demands a “Whole-of-Government” approach, where specialized ministries and agencies work in a coordinated way across multiple jurisdictions to implement policy. The work of integrating the different strands of Singapore's energy policy was institutionalized with the establishment of the Energy Policy Group (EPG) in March 2006. Led by the Ministry of Trade and Industry (MTI), it comprises key ministries, including Environment and Water Resources (MEWR), Foreign Affairs (MFA), Transport (MOT) and Finance (MOF), and agencies like the Energy Market Authority (EMA), Economic Development Board (EDB), National Environment Agency (NEA), Land Transport Authority (LTA) and Building and Construction Authority (BCA). The EPG plays the role of formulating and coordinating Singapore's energy policies and strategies. In addition to the development of a national energy policy framework, the EPG studies a wide range of energy issues, which include power and transport sectors, energy efficiency, climate change, energy industry, energy research and development (R&D), and engaging in regional and international energy policy cooperation. Coordinating the efforts of all stakeholders will be a constant feature in Singapore's energy policy efforts in the future. Singapore's national energy policy framework strives to achieve a balance among three objectives, namely retaining economic competitiveness, enhancing energy security, and protecting the environment. In a report released in 2007, MTI identified five strategies under the country's energy policy framework: promoting competitive markets, diversifying energy sources, enhancing energy efficiency, developing the energy industry and investing in energy R&D, and stepping up international cooperation. Singapore has come a long way from its early role in the 1890s as a storage and trans-shipment centre for kerosene in the colonial Far East. The first bulk oil cargo destined for Asia was loaded on to the Samuel brothers’ storage tanks in Pulau Bukom in 1892; the vessel Murex brought the cargo from Batum, an oil port in the Black Sea, via the Suez Canal, which was newly opened to oil traffic. Shell established a strategic Far East distribution site for refined oil products with a storage facility in Pulau Bukom, an offshore island south of the main Singapore island. Singapore had, by the 1980s, emerged as one of the world's great oil refining and trading centres, with the 'East of Suez' region within its sphere of influence. The city-state's policy-making went against the grain in much of its practice of economic development. It ensured that energy products were bought and sold in the domestic market at essentially global prices, in contrast to the common practice in developing countries of subsidizing energy fuels for social equity. Without a drop of oil of its own, Singapore also managed to attract large foreign investments in the capital-intensive oil refining and petrochemical manufacturing sectors in an export-oriented strategy. This was at a time when governments of most newly independent countries were busy trying to promote heavy industry by protectionist trade policies and import-substituting industrialization. The purpose of this book is two-fold. It is intended to introduce a host of energy-related discussions relevant to a wider group of readers who do not 'do energy' for a living, yet are keenly interested in understanding the many complexities of modern industrial societies which need to balance economic, environmental, and security priorities of ordinary citizens. 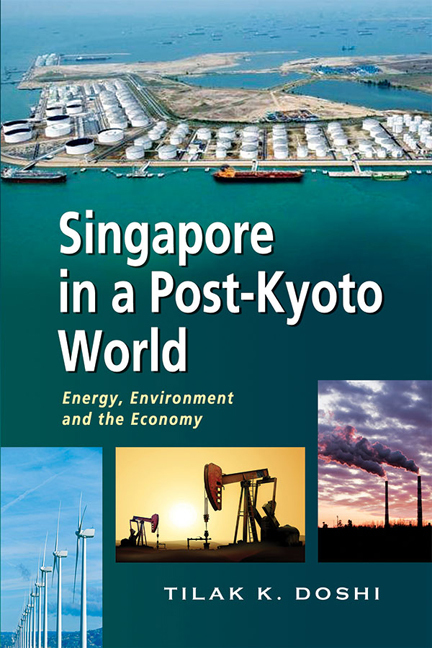 It is also meant to serve as an introductory assessment of key energy-related issues, with a particular relevance for small advanced countries such as Singapore.